It is not the police’s job to clean up the mess of an accident vehicle. A tow truck is responsible for the mess left by cars that are involved in an accident. The tow driver cleans up the mess as part of his job and this is part of the tow charge. There have been a number of road mishaps or accidents reported within the Dallas area. The relocation process can be stressful and difficult and with all the other things that you need to take care of such as the police reports, it is a lot more convenient to hand over the task of removing the car involved in an accident to the towing companies. It’s a relief to know that there are a couple of towing companies with reliable and expert services that can easily remove accident cars from the road and that can fix the mess caused by the accident in no time. It helps prevent more accidents from happening. 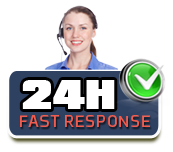 24/7 towing services are readily available in Dallas, Texas. There are no business hours as all of these towing companies offer their service 24/7 and 365 days a year which includes weekends and holidays. Most of these towing companies provide high quality reliable towing services at an affordable price. Since the technicians and tow drivers are scattered across Dallas and are on standby, they can easily arrive at the accident location within 30 minutes from your call. Most of the towing companies in Dallas give a time frame of 30 minutes from the client’s call.